Halloween has always been my favorite holiday. There is something about all the black and orange, the ghosts, the costumes, and the weather that makes me happy. Most people like Halloween because that is when they are able to acquire buckets of free candy. I was never a candy lover, not even as a very little girl. I loved to trick-or-treat, but would happily share my candy with anyone who wanted it. It was about so much more than sweets to me. It was, and still is, about our family traditions. When I was six we moved to the country. Trick-or-treating was no longer a part of Halloween. Not only was the distance to other houses outrageous, but being displaced Southerners in Oregon, we were too cold to put on flimsy costumes and go outdoors. That is when Halloween became all about the indoor party. 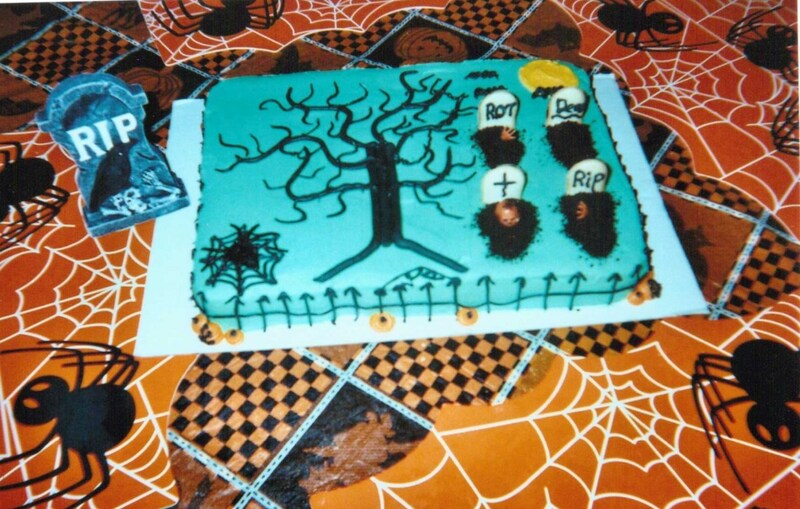 Halloween was the day before my mother's birthday, and my sister had a birthday only two weeks earlier. Later, they combined both of their birthdays with the holiday, and Halloween became our biggest celebration. 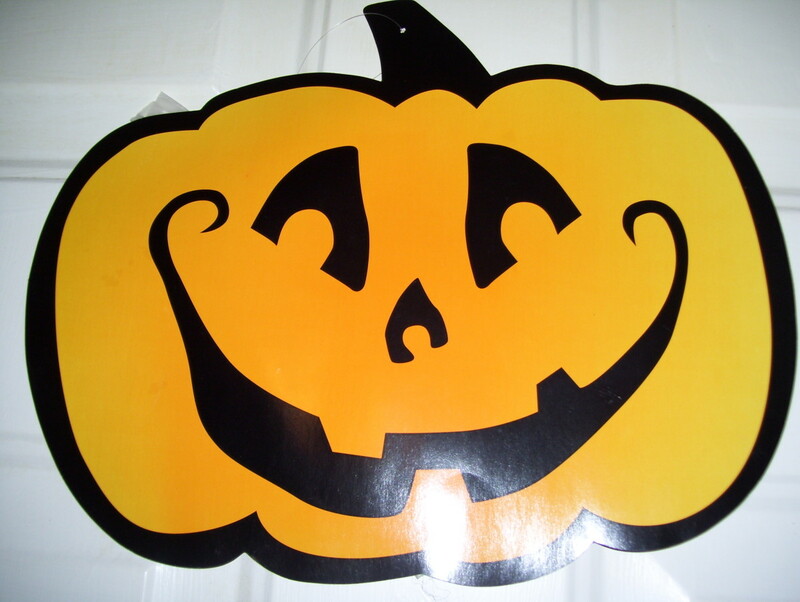 I remember our first real set of Halloween party decorations. 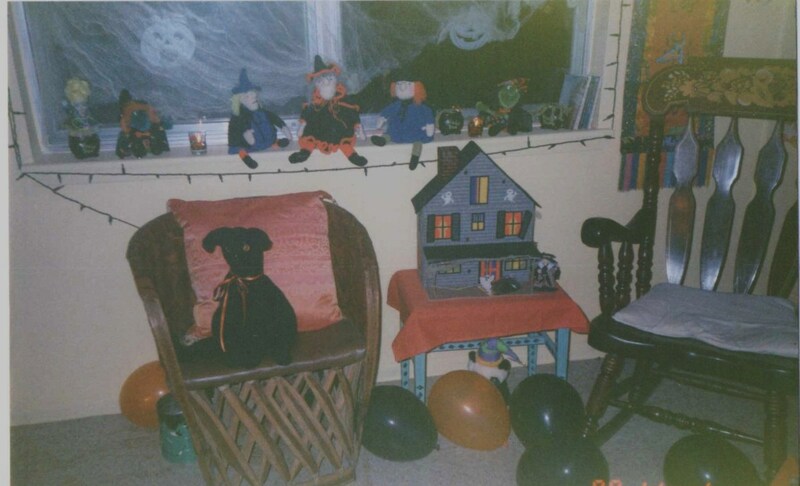 It included a set of cardboard cartoon ghosts that you taped to different places around the house, a honeycomb paper ghost with cartoon eyes (Mr. Boo), honeycomb pumpkins for the table, a printed vinyl tablecloth, and a set of black votive candles that smelled delightful. For the next twelve years those decorations would be lovingly hung every year on the first of October. They became quite ratty, and were often lost among the newer items we collected and made, but they were our favorites. Every year they were repacked with the votive candles, and soon that smell became associated with Halloween. I haven't found any of those candles in years, but I can almost perceive their phantom fragrance every year when I unpack the Halloween decorations. After we moved to Oklahoma, (even further in the woods than before!) we were bigger kids, and interested in crafting. My mother had a great imagination and tons of patience. She saved, and let us save, anything that we thought we might be able to turn into a spooky craft project. She let us play with her expensive paints and brushes, lets us make huge messes with salt dough, and lose all of her beads as we rushed to complete one craft after another. My father too, was patient. He never complained about the dining table being buried under a pile of craft supplies, so long as we left him one corner on which to eat. Anytime we saw a new a medium we had to try, such as plastic canvas, he bought it. Both parents oohed and aahed over our imaginative creations. We were pretty secluded in our large farmhouse. 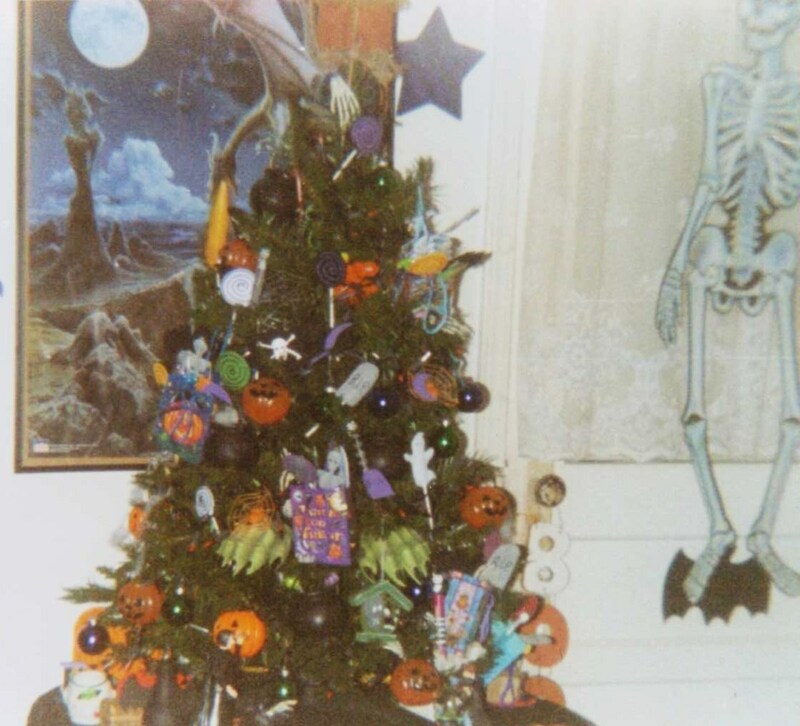 We were homeschooled and had no television, so we weren't aware of how the view of Halloween was changing in the outside world. By this time I was older, and was becoming more interested in the actual religion behind Halloween. I was deeply ensconced in the study of paganism, Wicca, and other religions, along with the paranormal. Halloween was becoming much more serious and important to me. Certain traditions were added to the festivities, such as lighting candles in honor of our deceased loved ones. My sisters were much younger, and my parents bundled them into the car and drove them thirty miles to town so that they could trick-or-treat in their clever hand-made costumes. They were so cute and their garb so elaborate..they always came home with buckets of goodies! Afterwards they would add their candy to the already overflowing candy holders we had crafted all month. It usually sat there for weeks, being occasionally picked at until we found some needy child to share it with. With trick-or-treating done we would have our big meal, which was always something special. Then the birthday cake and ice cream. Not to mention there were tables of appetizers and other treats that we had worked all day on before it was time to go haunt the streets. While this was going on, we had horror movies in running continuously, or music. If weather permitted, we might have a bonfire and weenie roast instead of an indoor dinner. As we grew older and more creative, we began to focus more on outdoing last year's decorations, rather than just adding to the collection. 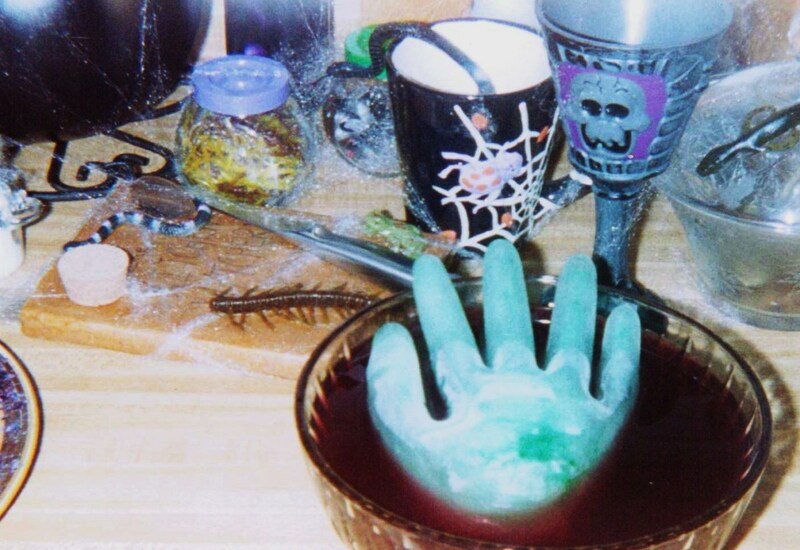 We would scour yard sales and thrift stores for items to re-vamp for Halloween. Some of those treasures over the years have been an antique bassinet, baskets, picture frames, wooden utensils, an old baby stroller, and bird houses. 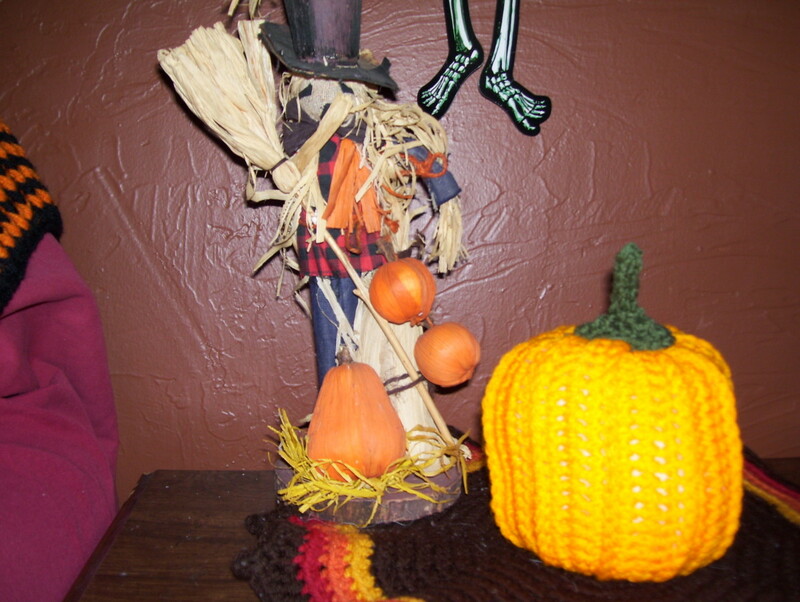 We would look at Halloween novelties and try to think up creative ways to use them in the décor. Simple decorations turned into major themes.. 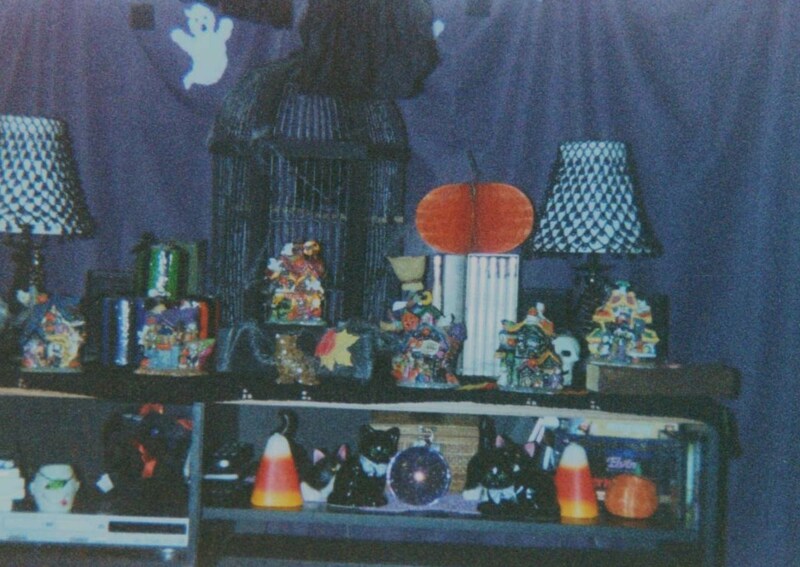 There was plenty of the little stuff stuck in every available space as well, but we prided ourselves on our Halloween mini-displays. This corner might have a witch selling potions, that corner had a grim reaper, the whole coffee table might be turned into a small cemetery complete with plastic canvas coffins and tombstones. Our guest of honor each year was Mabel, a dress-maker's dummy we adopted from an elderly couple. She played the role of the witch one year, the headless horseman next year, and a vampire another year. She sparked our imaginations, and special care was taken to make sure that her corner was the most stunning. By this time we had started a new tradition. 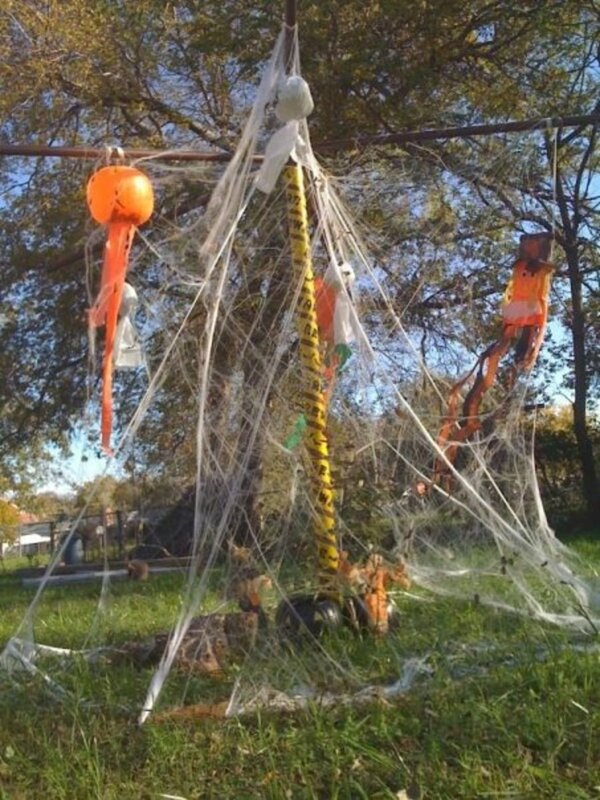 The Halloween Tree. It was a wobbly two foot tree that we loved. Every year we made new ornaments for it, as well as its own topper and tree skirt. 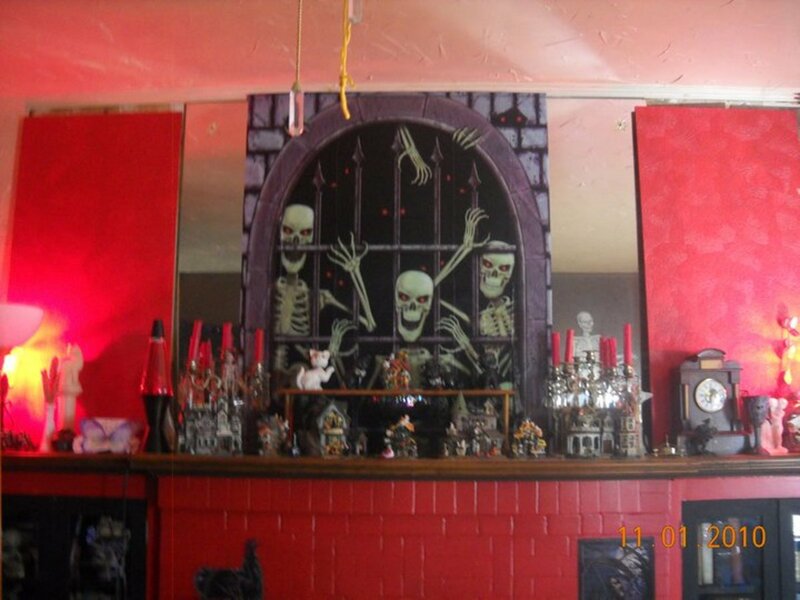 Unlike most people, we didn't decorate around what was already in the house. Each year, all the regular knick-knacks, linens, pillows, pictures, and such were removed and cleaned. They were replaced with seasonal items. Sometimes even the curtains. By the time we were done, there wasn't a doorknob, windowsill, or piece of furniture that was bare. After the last possible item was in place, we wove colored lights wherever they would fit, then draped it all in stretchable spider-web. When we packed it all away, it took over twenty large boxes. Enough for our own Halloween store it seemed. We laughed as we thought about what it would look like in ten years. But we never got to find out. After 9/11 we did what a lot of people did. We packed up and went to spend time with relatives we hadn't seen in a long time. Too long. It was the time for being shocked, and for being thankful for what we had. 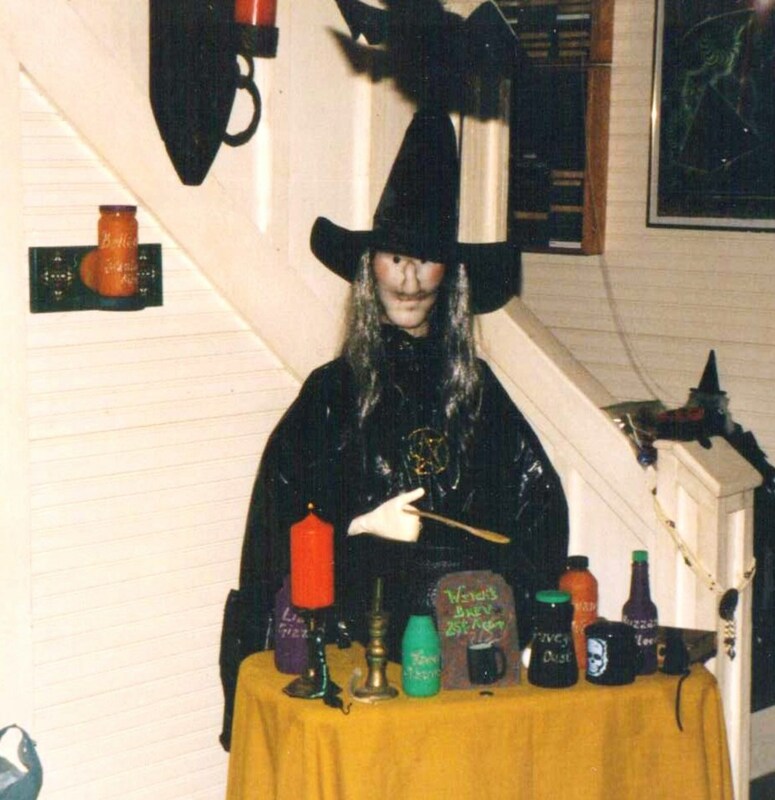 That year, we had Halloween at my brother's house. We did what we always did...decorated and made a party out of the holiday. 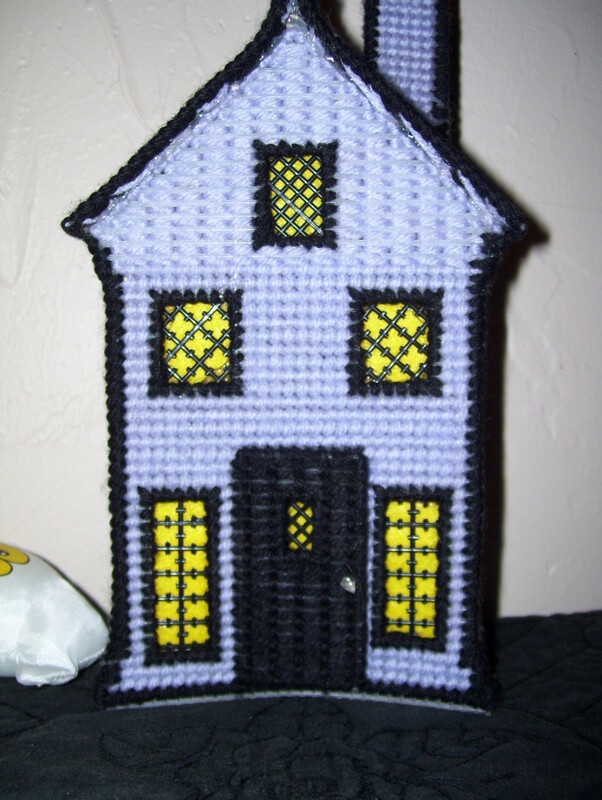 Of course we didn't have any of our stuff with us, but we made do with some great finds at a local dollar store, and gave all my nieces and nephews a wonderful spooky house. 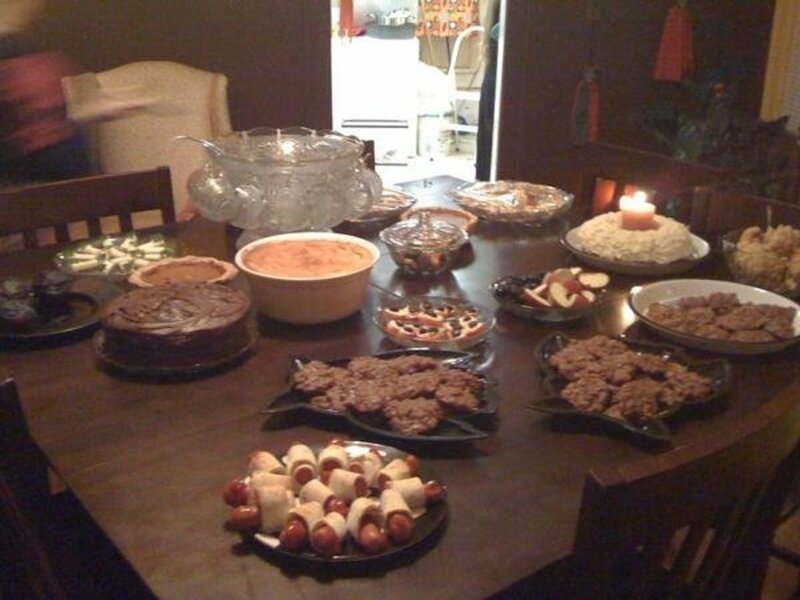 It was a great party, and afterwards we traveled around Memphis visiting different relatives. Two weeks later we went home to find our house in ashes. It had burned only two days before, and was still smoking. We had lost everything but the clothes we had with us and our pets. There is no way to describe the feelings you experience when you lose your home. You mourn your things, yes. You have to start over from scratch, and there is such an overwhelming sensation of displacement. We found a house to rent as fast as we could, and started collecting new things, but it was a long time before these things felt like ours. For years we would still say "Where is the...oh, nevermind. It burned." Because it felt like it should be somewhere close. We had a year until our next Halloween. We started once again with a handful of storebought items, and a little two foot Christmas tree that someone gave to us. It became our new Halloween tree, and the centerpiece of our home. We decorated it with as much care and diligence as someone would their Christmas tree. Halloween kept us together. Just like we had always worked together to create Halloween in the past, so we did it again. No matter how depressed we were, how miserable we felt, we could still get excited about sitting down together at the table and crafting little ornaments, or shopping for little knick-knacks to display. That first year, our moods were darker, and Halloween suited us. 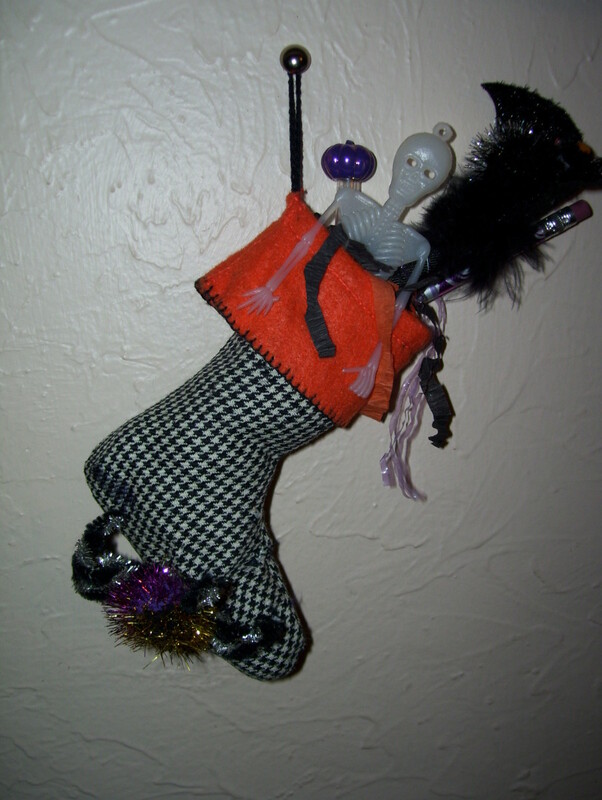 Our decorations were a bit more grim. By the time we moved three years later, however, our collection had grown again, and once more there was a vast display of hand-crafted whimsy among the macabre. So why Halloween? Why not Christmas, or Thanksgiving, or even Easter? We were never very big on Thanksgiving. We observed it with a dinner but we didn't need a special day once a year to remind us to be Thankful. We were always thankful, even more so after the house burned. We were all alive and safe. Easter was a holiday that we outgrew as children. We would put out a few decorations, but for the most part, it wasn't the sort of day for being silly and outrageous. We worked hard for our living on the farms, and we needed a day that was just for relaxing and being maniacally goofy. Christmas was our other big Holiday. We put just as much work and dedication into Christmas as we did Halloween. 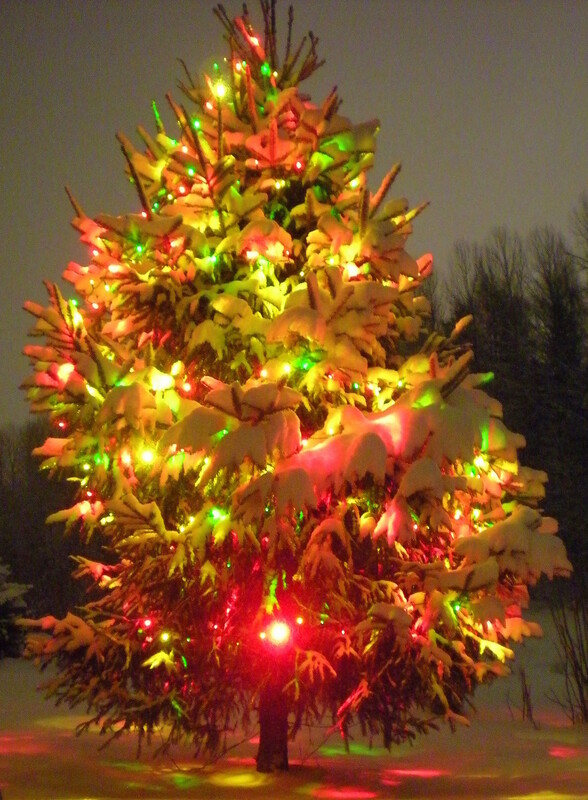 We even had SEVEN fully decorated Christmas trees in the house one year, and most of our décor was handcrafted. Christmas was sparkly and fun. It was when we did beautiful things, and our traditions reflected elegance and respect. Christmas comes with something Halloween doesn't....presents! You would think that would be enough to make it the better holiday, but really, presents make Christmas a little tense. You have to worry about what to buy, how to buy it, how to sneak it in, how to wrap it so it looks like something else, and then fret that maybe you bought the wrong gift. Halloween has no such pressure. These other three holidays also involve extended family and friends. Halloween did not. It was ours. Something we did as a little family. In fact, very few people even saw the amount of work we did every year. Just us. That made it special. No one gets offended if you don't come to their house for Halloween. No one expects a present for Halloween. (well, except for those with Halloween birthdays!). You aren't required to make a Halloween card list, or leave candy corn for the mailman. It was a day full of fun and excitement, but free of obligations. We dressed up or dressed down, danced, sang, played games, ate until we couldn't breathe, watched movies, hugged, laughed and ate some more. We moved back to town for the first time in...uh, a lot of years. We were grown chickens then but still refused to leave the nest. Halloween in town offered some new challenges and opportunities. We could no longer have a bonfire in the back yard, drink rum and coke, and play loud music until 3 a.m. on Halloween. Nor would the neighbors appreciate the sound of horror films pumped through the surround-sound all day and night. We could however expand to outdoor Halloween decorations, because we now had an audience. Pumpkins, skeletons, and bats quickly spilled out the front door, and frightened away a lot of possible trick-or-treaters. Or maybe it was our over-the-top costumes and special lighting effects. We quickly learned that the outside world had lost some of its appreciation for this day. People no longer trick-or-treated on Halloween, but the most convenient day close to it. Sacrilege! Plus there was a curfew that ended the festivities at a certain time. Instead of the expected flood of trick-or-treaters we had hoped for, we received only handfuls of timid children that were worried about asking if we were giving candy. Apparently other houses had been very mean to them. It took three years to build up a reputation that not only did we welcome trick-or-treaters...we gave good candy and prizes. We also gushed admiration for each costume we saw, no matter how many princesses and ninjas we saw. Even when we were the only house on the street, kids that remembered us from the year before made a special trip just to visit us and see our decorations and costumes. Each year we tallied up our visitors, proud when we reached over fifty, yet still sad that in a town with so many children, so few were out having fun. I like to think that if it hadn't been for Halloween I might not have gotten with my partner. 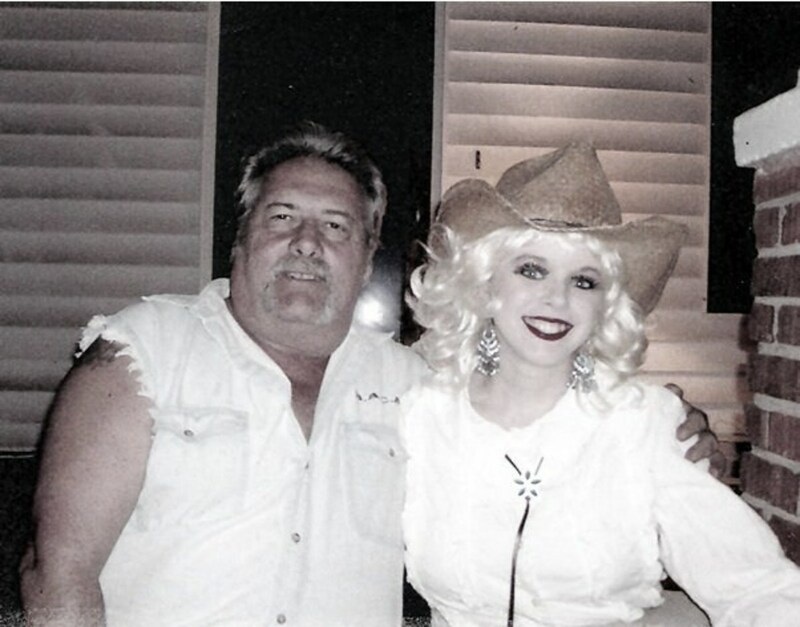 Even though we were neighbors, he rarely spoke to me until one Halloween. He wanted a picture taken with me in costume, and after that, I couldn't get rid of him. Soon, we moved in together. Which meant I had was once again without any Halloween decorations! 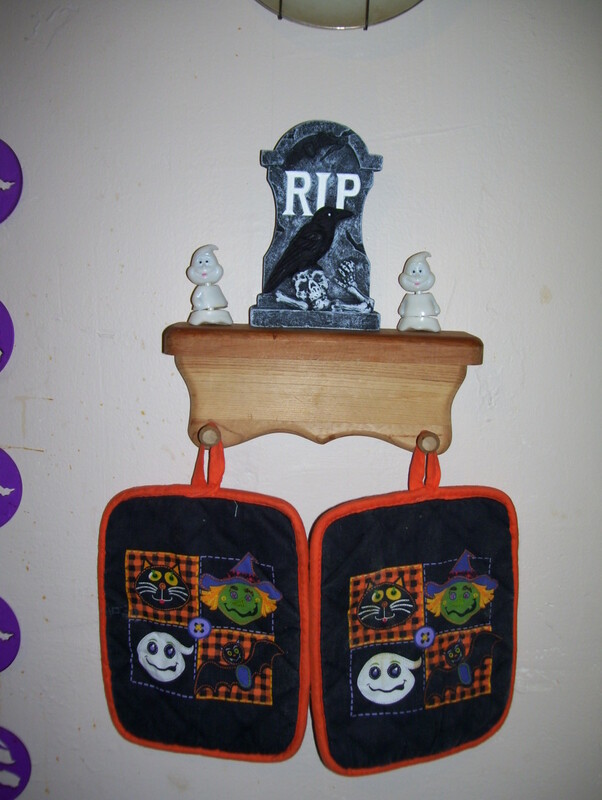 I had to borrow extra stuff from my mother's ever-growing collection to decorate for my first Halloween. We are coming up on our third Halloween now, and he too has become resigned to the pile of craft stuff on the counters and tables, to having to duck under swinging skeletons, and to handing me pieces of tape while I crepe paper the entire house. Now I have a daughter of my own. It is my responsibility and pleasure to keep the family traditions alive, and add some new ones as my daughter grows. I want it to be a special holiday that we share together. Today she helped my hang plastic ghosts outside, exclaiming and laughing as she handed me each one. Later she stood at the door and watched them blowing in the wind for hours. I think she already has a little Halloween in her blood! Even though it doesn't feel the same decorating my own home alone at Halloween, it is still my favorite holiday. We live in the country, so we can host the bonfire when weather permits. If it is too cold or too dry for a fire, I still know that I am welcome at home for Halloween. I love having the bonfire...but still, Halloween never feels as good as it does at home. With my family, the horror movies, the silliness and games, the un-ending supply of no-bake cookies and the familiar crafts and knick-knacks that we made together during good times and bad. And of course, with the great memories. Happy Halloween everyone! May it ever remain a celebrated holiday. Thanks for reading and commenting and voting! I love Halloween because it's signals the beginning of my favorite time of the year, full of holidays, football, and cold weather! Also, it means I have an excuse to watch Hocus Pocus for a month without feeling like a weirdo - voted up and across! @shiningirisheyes--the bassinet was so fun to do. I am looking forward to doing a similar one for an Addam's family theme, and using it as the candy bucket for trick-or-treaters! @Becky-It was very sad to lose our decorations. Especially the hand made crafts. And we did have those moments when we went "What is the point in making more?" but after we got started it became very comforting. Now, Halloween is back to being just as big and elaborate, and it it feels great to celebrate. Like we are thumbing our noses at the bad luck and saying "you can't bring me down." Happy Halloween Sharkey! After my birthday Halloween is also my favorite holiday! I hope you have a spookilicious time!! 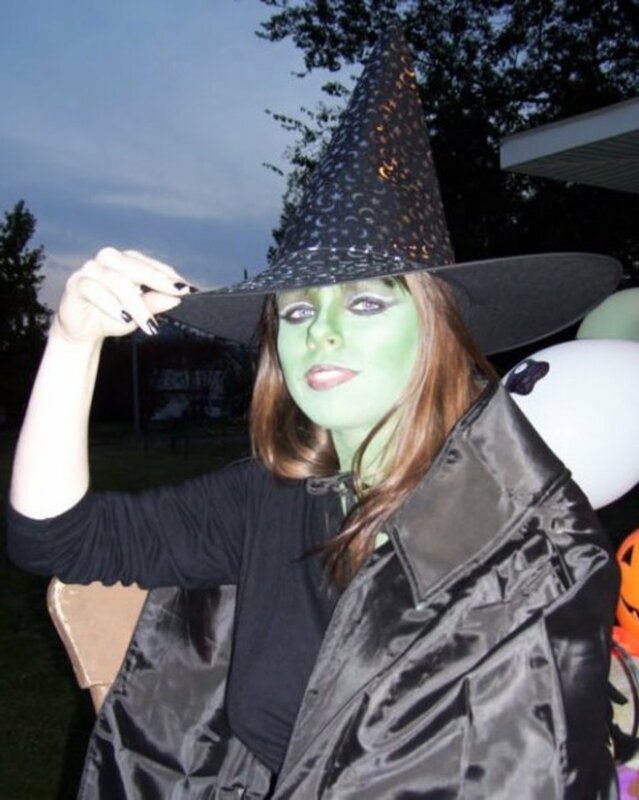 @Jamie-Aww, it sounds like you have some great Halloween memories too! I have heard of Devol, but never been down there. Sounds like a great community though. I think smaller towns are better at Halloween. The closest town to me now has 3000 people, and they act like they live in a big city. It takes the fun out of the holiday, especially for little kids. This is a very nice hub. Voted up awesome.. There's something about Halloween that I love too. you are never too old to trick or treat. Now, I get to trick or treat with my nephew who just turned two. My mother's birthday is the day before Halloween too so the idea of celebrating a birthday on Halloween Day is sort of fun. I still enjoy going out on Halloween Day whether it's to a party or to any event just as long as I get to dress up in my favorite costume. It is one of my favorite Halloweens as I am a huge prankster. This holiday gives my all kinds of endless ideas and avenues! 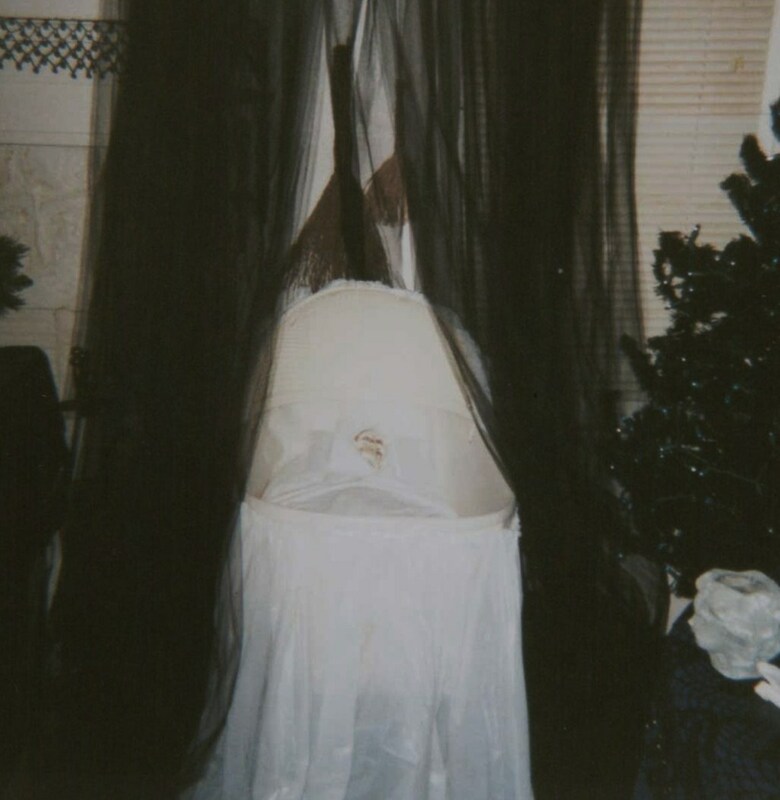 I loved the spooky bassinet idea! Interesting reasons why you love Halloween although with a house fire and losing all your treasured decorations I would think it would also spawn sad times.... I like how your family recovered and continued on to make the following Halloweens just as special. I know what you mean totally about combing birthdays with Halloween myself and my youngest child's birthday is very close to Halloween so it almost always becomes a party theme of Hallowee. We love Halloween too so were semi-lucky in that aspect. BTW love the decorations, they showcase your creativity! Thanks for sharing your memories of Halloween with us both positive and slightly negative!! You make Halloween so much fun! It makes me want to decorate. oh wow, your hub is really touching, it brought tears to my eyes. Halloween is my favorite holiday too. As I was reading, I was imagining how it would be to be sitting at the table doing crafts, all the decorations, scary movies in the background, scented candles, being silly...sounds like you have an awesome family.. what great memories you have! I'm so sorry that a fire took your home.. I know that had to be terrible to go through. One good thing is nothing can take those happy Halloween memories from you. I grew up in a small town called Devol, Oklahoma.. though it's a very small town, everyone still passed out candy. Some of the older kids would try to sneak around and try to scare us a lot of times. It was so much fun... it's some of the best childhood memories I have. Its great you now have a little one to start your own traditions with! I'm sure she will have cherished memories of this holiday just like you do :) Thank God for Halloween! @Sharkye11: Valentine's day is the least celebrated holiday for me too but not for my girlfriend so... the only choice I have is to celerate it! 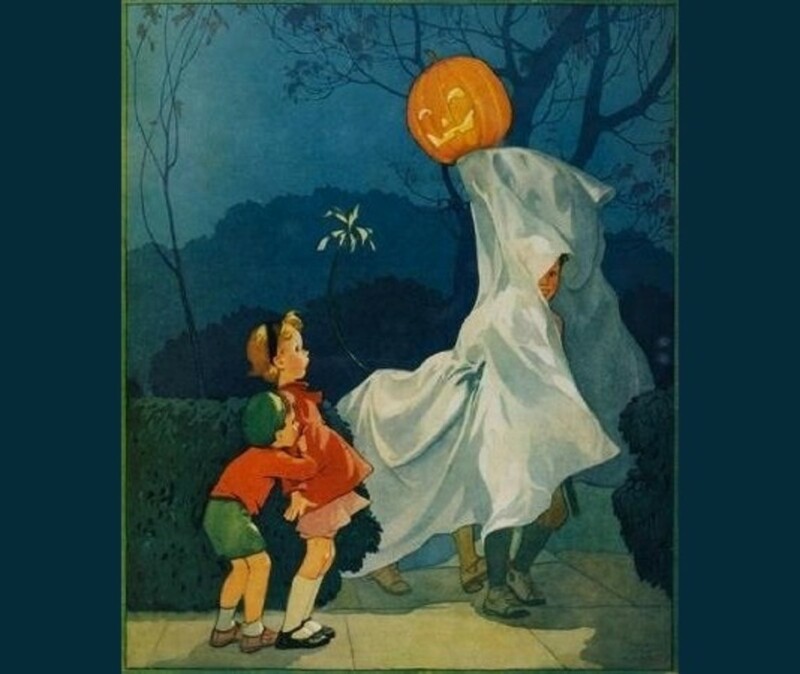 I never really thought about celebrating Halloween. It is, in my opinion, the holiday I least celebrate. But after reading your hub it gives me a reason to celebrate it. I also congratulate you from bouncing back from the loss of your home. Great hub and voted up! Thank you so much Billy for the wonderful comment. I am honored that you read all of the hub, even though I know it was excessively wordy and not broken up for easy reading. Hope you have a great Halloween too! I rarely read hubs word for word....this one I did. 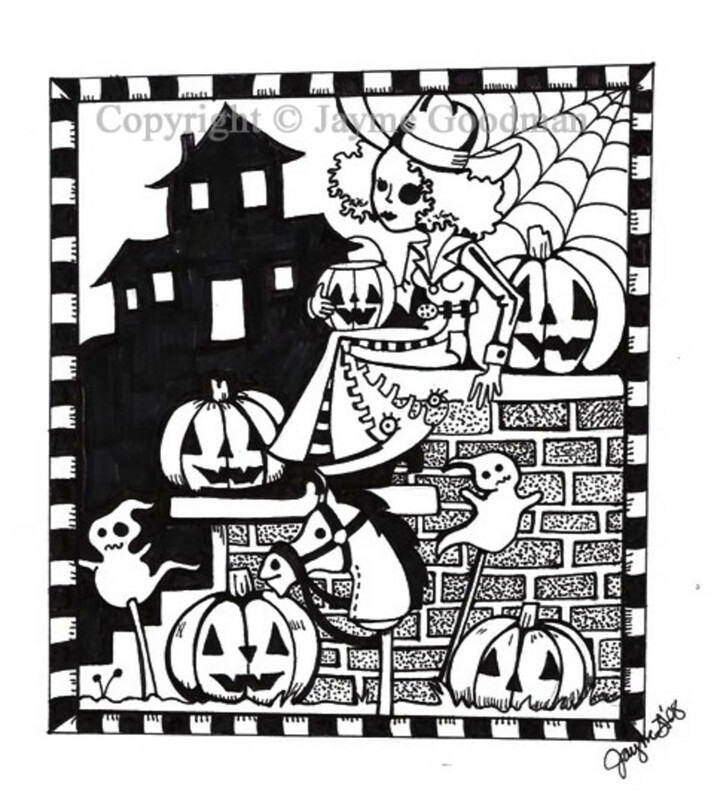 Very interesting recollections of your history with Halloween. I'm so sorry you lost your home to fire. That is a devastating experience for sure; I love how you have bounced back and hold onto tradition. I hope you enjoy a fantastic Halloween this year....great hub!